It was supposed to be a raucus sendoff to ChrisMac's dwindling bachelorhood. When I heard that my youngest brother was getting married, naturally I wanted to give him a proper sendoff. 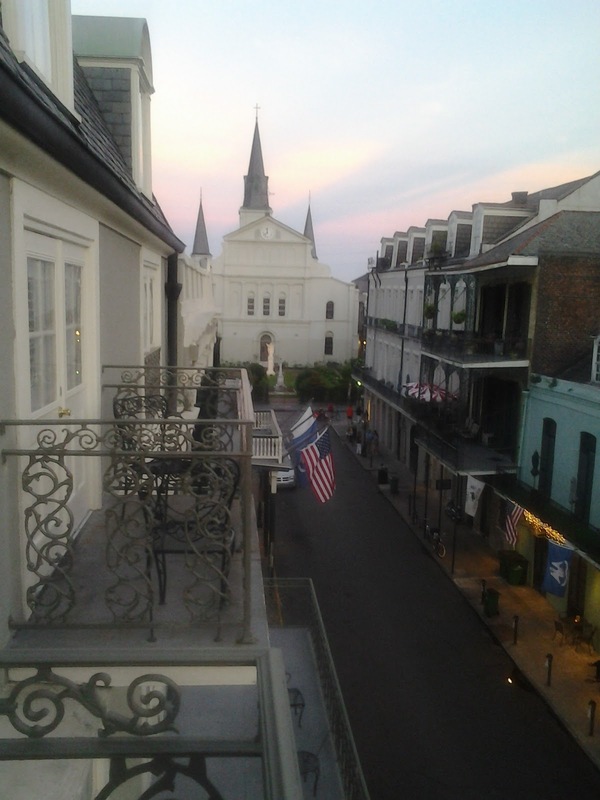 A last "lost weekend" in New Orleans seemed to fit the bill . Unfortunately, the realities of life conspired to move things in another direction; ChrisMac and my now-sister-in-law eloped. Babies are expensive, you know. I couldn't reschedule the trip, as I booked it all through Travelocity and it turned out that the hotel is non-refundable. It's not that Travelocity doesn't have a refund policy, it's that Travelocity often offers rooms at a substantial discount to their normal rates, but, in doing so, make the rooms non-refundable. As it turns out, there are ways around that. If the hotel is willing to allow the refund, Travelocity will give you your money back. No such luck in my case. So, I am visiting New Orleans alone. I have a full itinerary and have picked out a lot of great places to eat at. I'm staying at the beautiful Bourbon Orleans hotel which supposedly ranks among one of the most haunted hotels in New Orleans. It was originally built as a ballroom and was used to host masquerade balls and all sorts of exquisite gatherings. It soon became the a meeting place for state legislators. Legend has it that Andrew Jackson announced his candidacy for President of the United States of America there. Due to the enormous success of the Orleans Ballroom, a theater was built on the adjacent lot with brought French Opera to the area as well as table gaming and fine dining. Both the Orleans Theater and Ballroom were acquired by the Sisters of the Holy Family in 1881 for use as a school and convent. The Sisters remained there for 83 years until the need for expansion pressed them to sell the property to hotel interests. Yet, still, throughout all that history, the Orleans ballroom remained intact. And, it's still there today as part of the Bouron Orleans hotel. Stories suggest that a confederate soldier and a number of nuns and children haunt the halls of the building. The sixth floor supposedly has the most activity, which is a bummer because I am on the fifth floor. Although, I do have a pretty awesome balcony. Perfect for drinking coffee and throwing beads. I will still be keeping my eyes open for ghosts at the Bourbon Orleans. On a side note, I hear that Alecia Silverstone is in New Orleans this week to promote her website and her vegan principles. Good thing. I had been worried about the paparazzi hounding me all week. Her visit should throw them off my scent.